The book that inspired this entire post, Priory has been pretty much comprehensively lauded by the online and offline book community alike. I adore Samantha Shannon’s The Bone Season series and enjoy following Samantha’s online presence too, so I feel like I’ve seen the process of this book being birthed and now I’m SO happy that it exists in the world and that I get to read it! I want to savour this, it’s a lush epic fantasy with complex world-building and an interesting premise so I’m not rushing over a single moment of this story. 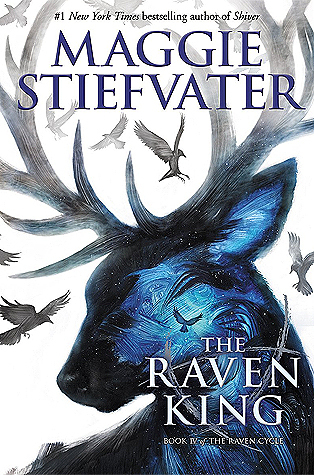 It’s something of an ongoing joke on this blog that I still haven’t read this, the fourth and final book in the Raven Boys series. At this point, I don’t know when I will get up the courage to do so. Regardless of what highs and lows of emotion this book contains, I’m pretty damn sure I’ll end up giving this one ALL THE STARS because it represents a series which I dearly love… and which has variously been given 4.5 or 5 stars throughout! The presence of this book on my predictions list is more of a desperate hope – it’s a kind of ‘saying so makes it so’ thing – as in premise this book is everything I should absolutely eat up. It’s described as The Secret History meets Shakespeare and I mean… I love that, Donna Tartt’s book is one of my all-time favourites and I am partial to a bit of the ol’ Bard too. When I finally let myself read this, I’m sure it will be a full 5-star from me! 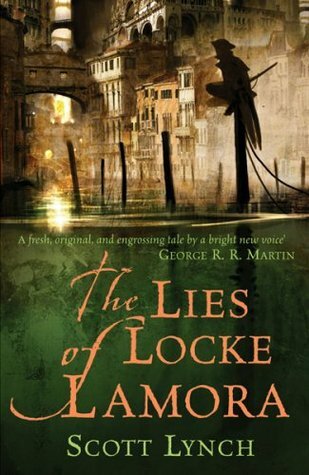 I have a sort of hunch, inspired by nothing more concrete than the book’s Italian-esque cover, that I’m going to love this fantasy book. It features a band of thieves which, hey, I’ll admit I have been known to enjoy in the past. They’re described as “elite con artists calling themselves the ‘Gentleman Bastards’ [who] rob the rich of the city of Camorr, based on late medieval Venice”. Um yes please?! I’m clearly a shoo-in to adore this book. Here’s the thing: I went into this author’s previous book, The Seven Husbands of Evelyn Hugo, mildly skeptical that I could truly live up to the overwhelming hype surrounding it. But I was (happily) proved one and it earned every single one of those 5 stars from me. This one I’m more unsure about because although the way this story is told sounds perfect for the plot, I’m not THAT into the music scene in the sixties and seventies (I’m more of an eighties music gal, I blame my dad entirely for that). Even so, since I was proved wrong about Evelyn Hugo I strongly suspect I will also be proved wrong about Daisy Jones, especially considering the praise I’ve already heard for it. This is a bind-up of V’s duology The Archived and The Unbound which has the creepy premise of the dead (aka Histories) being shelved like books in a place called the Archive and only people known as Librarians can read these Histories and learn about the stories behind them. Sounds just about as typically imaginative as you’d expect from V, right? I’m sure it will be wonderfully written so I’m very likely to give this one a full star rating once I get around to reading it. So there we have it, there were 6 books that I’m pretty sure I’m going to give five stars to when I (finally) get around to reading them! What are some books that you have on your TBR that you think you will love? Let me know below! If We Were Villains was incredible. I had middling expectations for it but it completely blew me away – people keep comparing it to The Secret History. The tone is sort of similar, but otherwise it’s not the same at all. 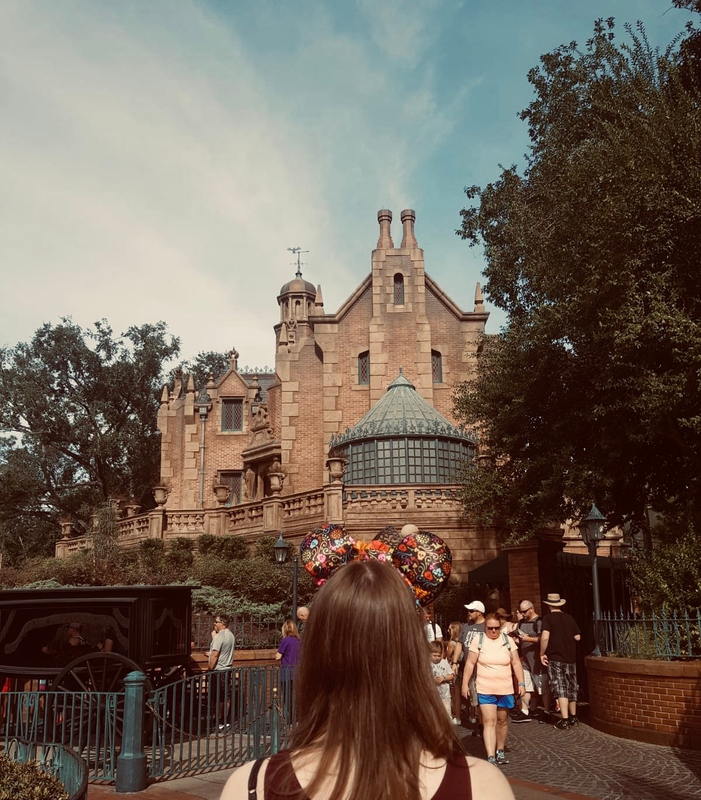 Great list Emma! I got the Dark Vault last year and I really want to love these books since City of Ghosts was a surprise for me. Good luck with your predictions! I haven’t read City of Ghosts yet but it’s set in Edinburgh (which I love) so I’m excited to get to it. 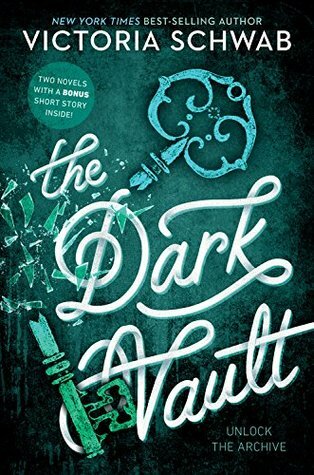 The Dark Vault is something that, in theory, I should love so I’m really hoping that proves to be the case for me – and for you! I already know that Priory will be a 5 star read for me, and I hope The Dark Vault will be a 5 star read too. Oh and also The Near Witch! I went to V’s signing yesterday and I hadn’t been sure about The Near Witch but after hearing her talking about it I’m now really interested in picking it up too! :) I hope you enjoy all those books when you get to them! I really wanted to go to that but I couldn’t unfortunately. I haven’t heard much talk about The Near Witch but it has been on my radar since I discovered the online book community so I really want to read it and see how it stands up to VE Schwab’s other books which I absolutely love! I’m hoping to eventually read anything by Taylor Jenkins Reid and for it to be a 5 star. I’ll be so gutted if I don’t love her books as much as everyone else. Haha I know, right? I’ve actually heard mixed things about her earlier books so I’m not sure if I’ll ever venture back before Seven Husbands – eek! Great list. 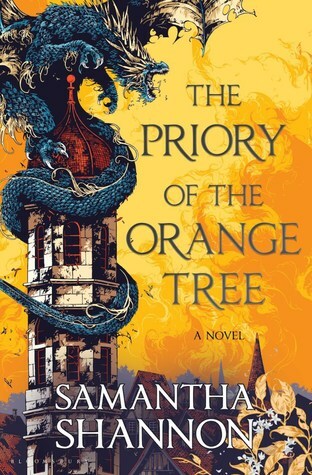 I am hearing so much praise for “The Priory of the Orange Tree”, so I am curious to know more. 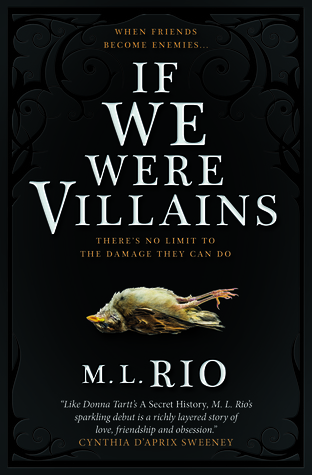 I am not so sure about “If We Were Villains”. The problem is that the book has too much “The Secret History” inside. How can a book receive high marks when it is quite blatantly uses so many ideas and settings of another? The mere fact that it is always compared to “The Secret History” means that it is only half-original and should not get as much respect simply on the basis of legally “ripping off” another. It is impossible not to think about “The Secret History” when reading “Villains”, how can then it be considered good literature? It really does seem like everyone is praising Priory, and I’ve started reading it and I’m finding the worldbuilding and story very immersive so it bodes well for it receiving a high rating when I’m finished with it. Well, I haven’t read If We Were Villains yet so I couldn’t say with certainty but, for me, I loved The Secret History so I wouldn’t at all mind if a book was derivative of (or inspired by) its tone or content. Depending on what school of thought you prescribe to, there’s plenty of critics who would say that ALL works are derivative and all plots can be boiled down to one of several types.But, in this case, obviously there’s a line between inspiration and straight-up copying another book and I’m really hoping that Villains is not the latter! I will reserve judgement until after I have actually read it though. 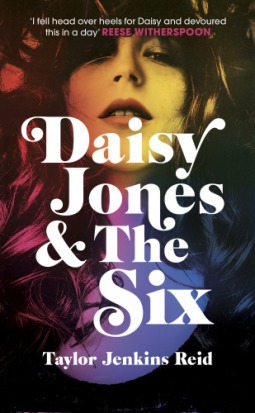 Heard so many good things about Daisy Jones looking forward to seeing if it lives up to the hype. Daisy Jones and If We Were Villains were both five-star books for me. I wasn’t expecting to love either of Taylor Jenkins Reid’s books, either, but they were worth the hype. I also really enjoyed The Dark Vault.